Shrink wrapping (Heavy Duty) machine suitable for gift’s confectionery, bottle, cosmetics etc. It’s a high speed of sealing machine and high equipment sealing. The complete process is visible & is furnish with L- sealer shaped. The automatic process of shrinkable pouch complete with web- sealer. 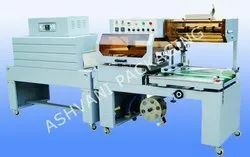 We are provide very high quality of heat-sealing machine and branded shrink machine. It’s very easy used. 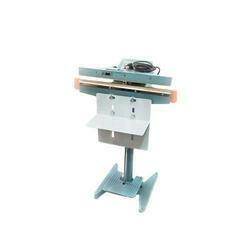 Adjustable working platform and height for various products size. Heat Shrink wrapping machine suitable for gift’s confectionery, bottle, cosmetics etc. It’s a high speed of sealing machine and high equipment sealing. The complete process is visible & is furnish with L- sealer shaped. The automatic process of shrinkable pouch complete with web- sealer. 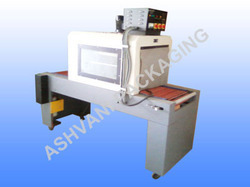 We are provide very high quality of heat-sealing machine and branded shrink machine. It’s very easy used. Sealing.Accurate sealing of pouch packing machine like tea,confectionery,wafers,snacks,powder. Very fast production and low maintenance.LD, PP, BOPP all the pouch you can seal it. Chamber Size 60" x 18" x 18"
Conveyor Loading (Kilogram) 35 TO 40 KG. Shrink Tunnel Window Size (18" x 18") With Roller Conveyor. 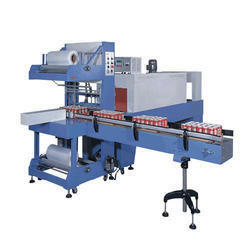 Shrink wrapping machine suitable for gift’s confectionery, bottle, cosmetics etc. It’s a high speed of sealing machine and high equipment sealing. The complete process is visible & is furnish with L- sealer shaped. The automatic process of shrinkable pouch complete with web- sealer. 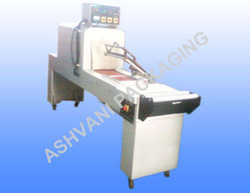 We are provide very high quality of heat-sealing machine and branded shrink machine. It’s very easy used. Looking for Shrink Packing Machine ?